Garam Masala – ‘Garam’ meaning hot and ‘Masala’ meaning mixture of spices in Hindi, is an integral part of North Indian cooking. This can be used in Curries, Gravies, Pulao and Biryani preparations to boost the flavor and impart a distinct & robust aroma to the dishes. There are many store-bought, packaged varieties of Garam Masala available, and these come in handy when you don’t have the time, or are not inclined to make this at home. But homemade masala is always fresh, strong in aroma and bursting with flavor. Another advantage is that you can adjust the flavor of the masala by increasing or decreasing the quantities of spices that go into this preparation; add as much or as little of any spice you like, to suit your palate. The important thing is to make this powder in relatively small batches and use it up quickly, as I have noticed (and many people agree) that storing these spices does not really give the same punch as much as using fresh ground and used on the same day (or the next) does. Roast all the spices together in a wide bottomed pan or tawa for about a minute on medium flame, taking care not to burn them. The roasting will release the aromas of the spices. 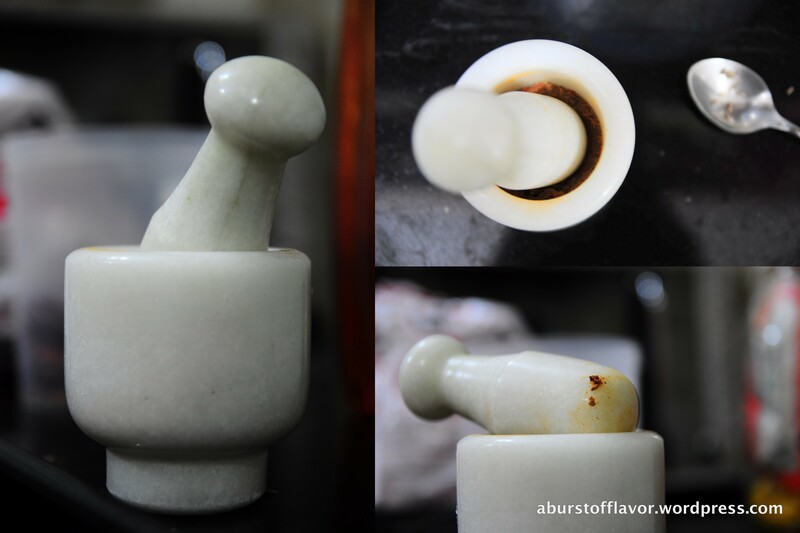 Switch off the stove, let it cool for a few seconds and grind them into a smooth powder using a spice grinder (if you have one) or mortar and pestle (like I did). 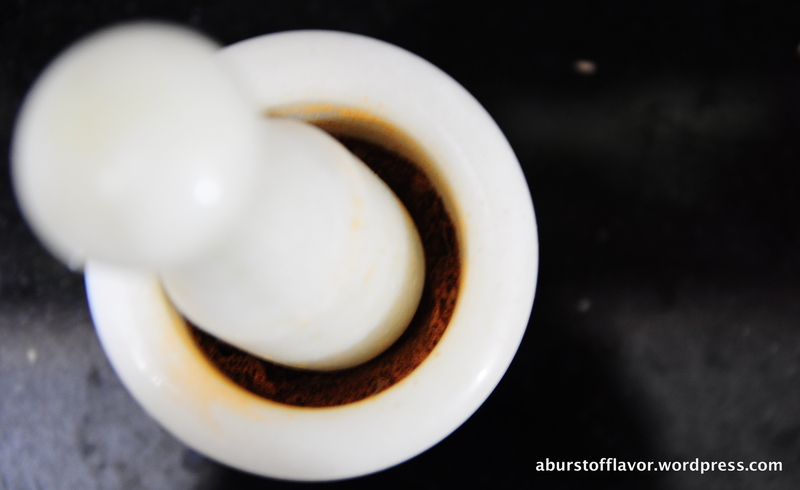 This is your fresh ground Garam Masala. Once this is done, if you are going to be using this immediately, transfer into a cup and close with a lid so that the wonderful aromas are not lost before you get to the point of using them. Any extra masala can be transferred to an airtight container and stored for up to two days. 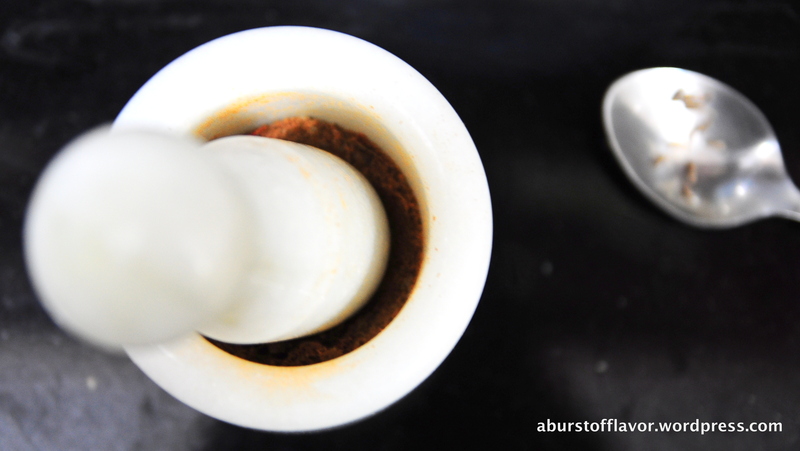 Ensure that you have dry hands & always use a dry spoon while handling the masala.